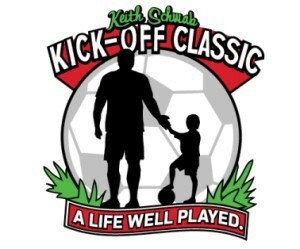 In honor of Keith Schwab, the former Haddonfield Soccer Club president who passed in May of 2013, will be the Keith Schwab Memorial Kick-Off Classic. This is a U8, U9, U10, U11 and U12 boys and girls tournament, to be held on Aug. 27, rain date Aug. 28. This one-day August event is in memory of Keith’s contributions and efforts towards the children of the Haddonfield Soccer Club. Be sure to join us at one-day tournament where you can look to get your season jump-started, enjoy the day with various food vendors and entertainers, and honor a dearly loved and devoted soccer enthusiasts who did so much for the kids and the community of Haddonfield. Visit www.haddonfieldsoccer.org for information and registration. Coaches, please note the registration fee for this one-day tournament is $300 until Aug. 15 and $350 after Aug. 15. There is a guarantee of two games per team.